Lots of people are searching for the Herbalife Compensation Plan. I found a sales and marketing plan for the company which is 126 pages long. Do you want to go through all that? Mark Hughes started Herbalife in 1980 at the age of 23, he also developed their Compensation Plan. Mark was the founder and the company’s first distributor. Michael Johnson has been the CEO and chairman since 2007. Herbalife Ltd is a global nutrition company and has distributors in over 90 countries. 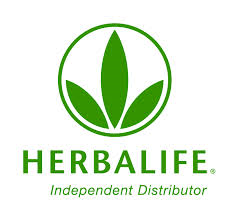 Herbalife claims that they payout up to 73% of product revenues to its distributors. The success of a distributor is in the sale of the products and the effort put into building his/her business. First things first, lets get you signed up as a distributor. This requires purchasing the Herbalife Mini International Business Pack(IBP) – $57.75. The mini IBP includes the distributor application and other documents plus a few product samples. The full IBP costs $95.55 and includes full sized products instead of sample size. Complete and submit the application inside the IBP. I find it a bit strange that you pay first then submit the application to get your identification number. The application is processed in a few days and of course while you are waiting registration, you can purchase Herbalife Products through your sponsor! There are two things I need to add here. Sell the product ===> Get some points! Acquire certain number of points ===> YOU go up a level! Build a downline ===> Downline sells products ===> Get % of those points! The products and the points will of course vary from MLM to MLM but, the system remains the same across the board. The better the products, the easier to sell them and the higher the point value on the product then the easier success will be. There are 6 main ways of earning from the comp plan. This is a payment from the sales made to your customers. It is the difference between the retail price and the discount awarded to your position. Starts from 25% for a distributor up to 50% for a supervisor. This is the difference between what distributors in your downline pay for products against what you pay for products. AS a supervisor with a 50% discount and a distributor getting 25% discount, you will make 25%. As a supervisor, you earn 5% on the personal volume of all of your downline supervisors. This only goes three levels down though. An extra 2% – 7% Organizational Production Bonus can be earned by Top Achievers Business(TAB) team members. To obtain TAB Team member status, you must be a member of 3 different teams listed below. Only the Top Achievers get recognized here. You get rewarded for consistent high performance and efforts in building your business. The company has special promotions and bonuses throughout the year. Diamond Rings and gold and Diamond Watches are given to distributors when they accumulates a certain amount of volume. The volume month begins on the first business day of the month and ends on the last business day. All products purchased directly through your Herbalife ID. All products purchased by your downline distributors directly from You/Herbalife. If you are a supervisor then this volume is credited either as PPV or GV. The volume on any orders purchased at a temporary 50% discount by qualifying supervisors in their qualifying month. This volume is PPV for the qualifying supervisor and GV for fully qualified supervisor. A supervisor earns royalty overrides on this amount. Volume produced by any distributor qualifying for supervisor in your personal organization. Any points produced below 2,500 by anyone down to the first qualified supervisor in your business. Also includes your PPV. A sponsoring supervisor must have the same PPV as a downline distributor(s) who are qualifying for supervisor. This volume is how the company verifies and validates the new supervisors. If the sponsor doesn’t match volume then the new supervisor will go up to the next upline supervisor. Now to add the final part, the all important positions. There are more than 15 positions inside this comp plan, I will highlight the first five. Receives a 25% discount off retail price. To reach this position, you need to accumulate 500 points or more in one month. Receives a 35% discount off retail price. Achieve 2,000 points and receive a 42% discount off retail price. To reach this position, you need to accumulate 1000 PPV points or more in one order. Receives a 42% discount off retail price. To reach this position, you need to accumulate 2,500 points or more in one to three months. 1,000 of the points must be DV. To reach this position, you need to accumulate 4,000 volume in one month or 2,500 volume in each of 2 consecutive months or 5,000 volume within 12 months. Receives a 50% discount off retail price. The company has been around a long time and is well known. This can be a good and a bad thing for it’s distributors. There is a lot of money in the health niche so might well be worthwhile joining Herbalife. They seem to have health programs in place to complement the products so should make it much easier to sell the products. If you are comfortable with doing home parties and 3 way calls then this might be the MLM company for you. If you already have a Herbalife business, contact me via email and I will show you how to increase your marketing budget. I have been on herbalife on and off for along time. I signed I as a distributor in 2002 to get 25% discount. I have attended a STS meeting on Saturday and want to start the business. I am a young mother of 3. My older daughter is 20, second daughter is 19 and my son will be 17. I am 39 yrs old. I have plenty time but not very good with computers can do basic stuff like e-mail and some what facebook. Could you please tell me how you do the blogs and other online advertising. I know the technology is going up so fast. I always depended on my children but now I think soon they will leave me. I have to do something to keep myself busy. 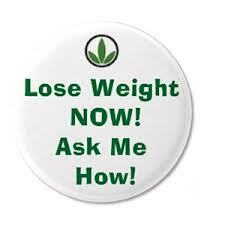 I like meeting people and traveling and I think herbalife can create that for me if I learn the tools. I no longer supply training in regards to MLM companies.